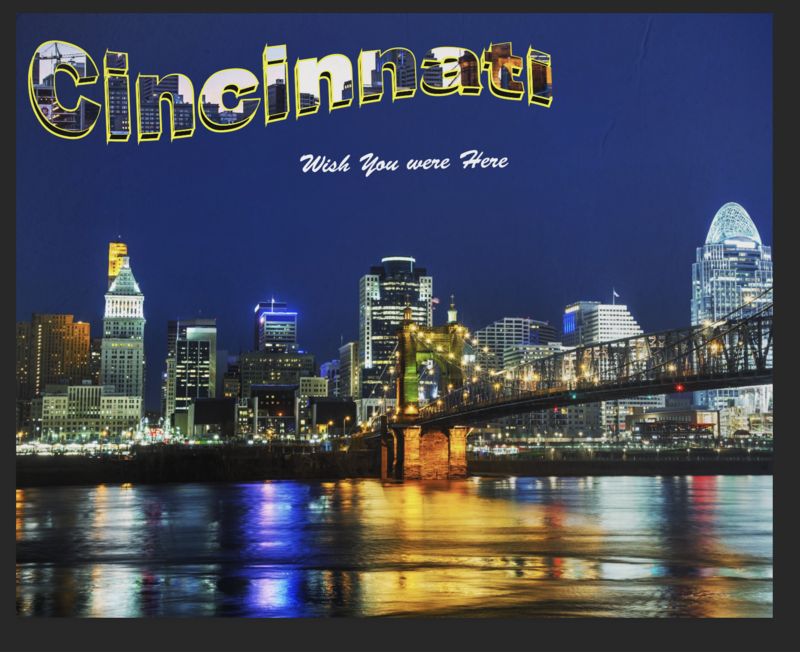 I created a postcard of Cincinnati using both adobe illustrator and photoshop. I chose Cincinnati because I’m from Cincinnati. 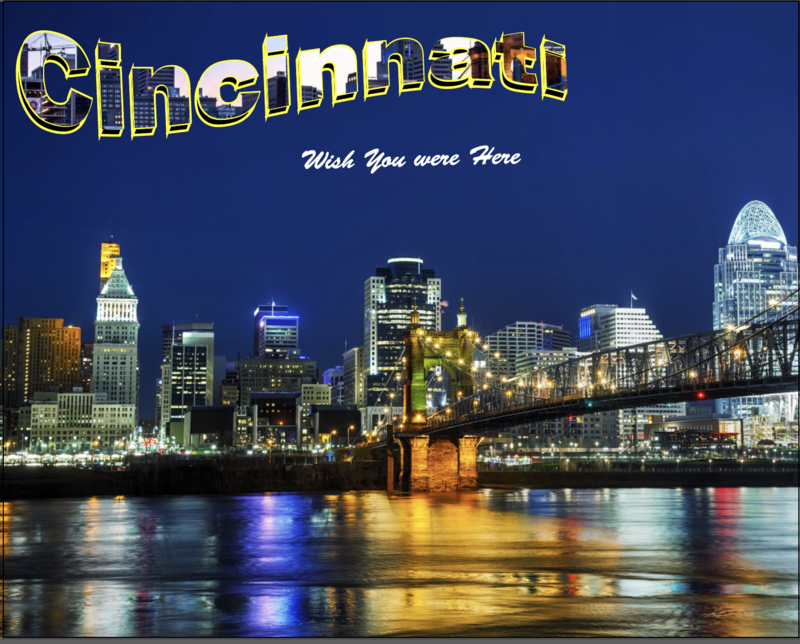 In illustrator are started with the word Cincinnati and then warped and angled the the making it have 3d elements. Then made it an object rather than a text. Then using a day picture are cut part of the picture into each one of the letters. 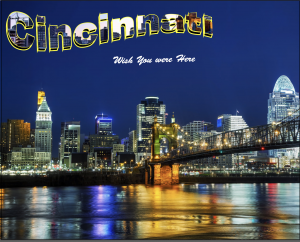 Then pasted the new word on to a night picture of Cincinnati. 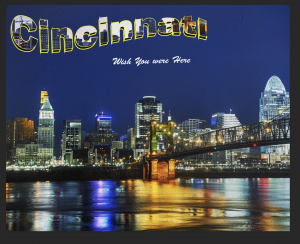 Then I moved over to photo shop and used a paper stock image to create a paper-like texture on the postcard. I used frequency separation on the paper image to isolate the texture then I placed the texture at the top. I then adjusted the opacity and brightness of the picture until it looked okay.